The BEST app for exclusive pumpers! 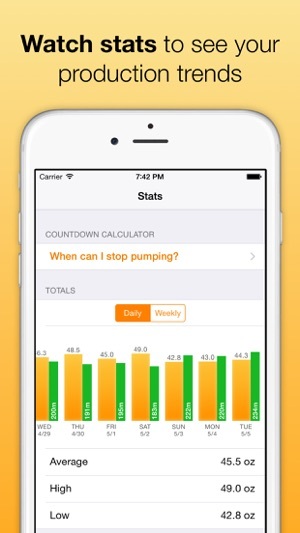 "This app has given me my day back so I no longer feel permanently attached to my pump!" "It's so easy to use and I love how it reminds me to pump." 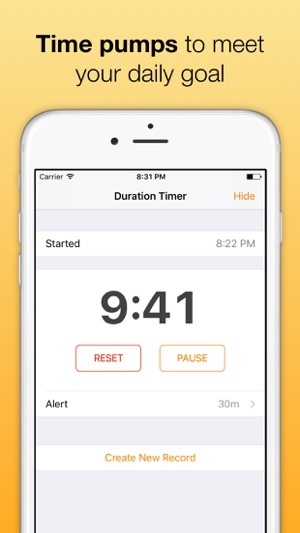 "Tracks just what I need to know without all the flubdubbery of other apps." "I am so thankful to have found this app." "I have boosted my supply by 50% and I recommend this app to all exclusive pumping moms!" Voted one of the Best Breast Feeding Apps by Healthline.com for 2015 AND again in 2016! You pump because you want the best for baby. But you're beginning to wonder, will the pumping ever end??? Wonder no longer. The Countdown Calculator will calculate the last day you need to pump! 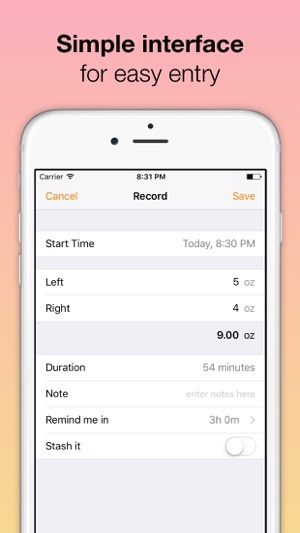 Boost volume by tracking your breast milk production. Automatic reminders so you don't forget to pump. Time your pumps and see daily total time pumped, to help you meet your pumping goals. Discover what foods and supplements improve your production. Start dropping pumping sessions once you know your supply is established. Identify what times of day you pump the most. See your high, low, and average. Ounces or milliliters, switch anytime. Easy and fast data entry. Keep notes on each pumping session. DISCLAIMER: This app does not provide medical advice. The information, including but not limited to, text, graphics, images and other material contained in this app are for informational purposes only. It is not intended to be a substitute for professional medical advice, diagnosis or treatment. Always seek the advice of your physician or other qualified health care provider with any questions you may have regarding a medical condition or treatment. Never disregard professional medical advice or delay in seeking it because of something you have read in this app. Pump Log™ does not recommend or endorse any specific products, opinions, or other information that may be mentioned in this app. Reliance on any information in this app is solely at your own risk. I started this app the day I went back to work after having my baby. I’ve used it for every pump every single day since. I love everything about it. The timer is quick and easy to set. It tracks how long you’re pumping. It runs in the background so you can surf the web or watch endless videos of your baby while pumping. I even had to restart my phone one time, and the timer continued running. 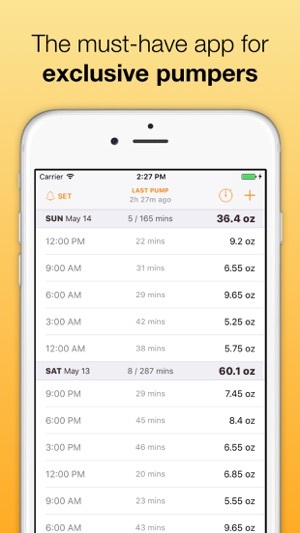 This app tracks the amount of time you spent pumping and how much milk you’ve pumped out every day. All of that is important to maintain your milk supply after going back to work. I make sure to pump for at least 15 min each time. Anything short of that my milk supply lessens. Here’s my only wish: this app doesn’t allow for a “breastfed” option. I usually breastfeed my baby in the evening. And since I’m an avid pumper, I can estimate how much I breastfed him. I wish I could add that in to my daily tracker. It wouldn’t count toward the “stored milk” calculator, but it would help track the daily amount of milk extracted. When I started exclusively pumping for our baby I was clueless at what I was getting myself into and overwhelmed at the idea of keeping track of milk amounts. I started off with the free trial and from there I was hooked. It is absolutely worth every penny. This is coming from someone that won’t even spend one dollar on apps. 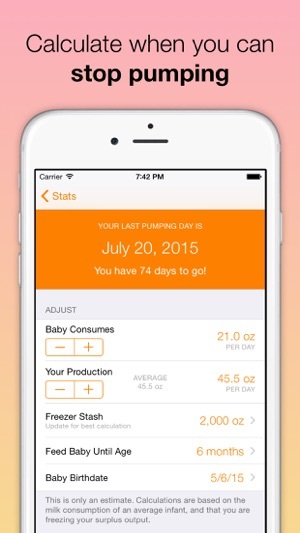 This app has been my companion throughout my pumping journey. I tried many other free apps for logging milk oz and none compare. This one is straight forward, user friendly and very clever. I love the timer built in, I love that you can log your freezer stash and estimate your ending date, I love that it tracks your daily averages. 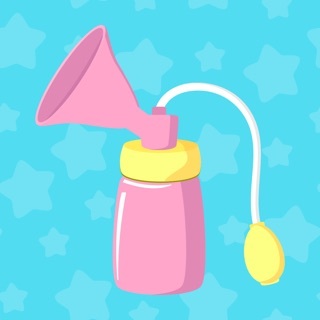 It’s honestly everything I could hope for in a pumping app and has made this difficult journey so much easier. My only wish is that the app would store away all your info and make way for the next pumping journey for next baby!